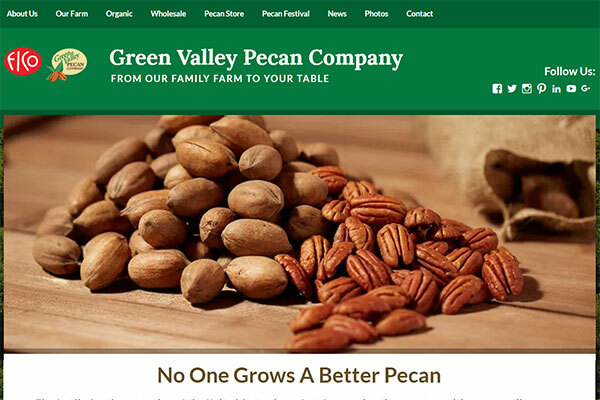 Green Valley Pecan Company is one of the world’s largest growers and processors of pecans as well as the biggest exporter of pecans to Europe. The fertile Southwest region of the United States is perfect for growing sweet, nutritious, versatile pecans. NutHouse Graphics took their existing CMS website and incorporated a new custom theme. We changed code and color to reflect the new company style guide. 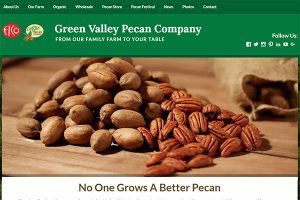 The website includes: new photos, 7 social media accounts, direct links to Pecan Store and Pecan Festival, blog and CAPTCHA contact form. We equipped the website with Google Analytics and SEO to gather visitor information.